There are many different dog breeds in the world and each has their own unique set of characteristics and personalities. One thing for certain though is that these lovable and cuddly companions are fascinating creatures. Have a read of some very interesting and fun facts about dogs. 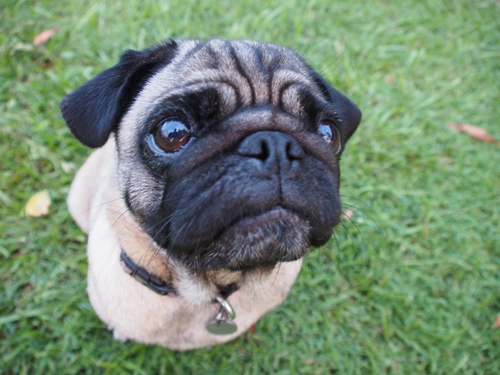 Dogs suffer from jealousy and are just as likely to turn into a green eyed monster as humans. When a pooch is jealous, they may show behavior changes such as snapping and snarling. It may seem that your fur friend is feeling bad for chewing up your newest pair of shoes, but don’t be fooled. Those puppy dog eyes are in fact just the way dog’s react when been spoken to in a different tone of voice and body language. It is a common myth that dogs can only see in black and white but they can actually see colors – just not as vividly as humans. Dogs have difficulty distinguishing between red and green, however they have better night vision than humans. You may have seen you dog twitching or whimpering in their sleep and yes you guessed it, they are dreaming. Dogs have the same brain wave patterns while they are asleep as humans, so they dream just like we do. They don’t call it puppy love for nothing. Studies have found that a dog’s brain releases oxytocin (the love hormone) when they interact with humans and other dogs, just the same as a human brain does when we hug or kiss.